Deployment Rings for all major campaigns and conflicts. For the last one hundred years or more the United States have taken part in campaigns and wars throughout the world. Usually to assist in the protection of our security and freedom. One of the largest military forces on the planet can be ready and mobile at very short notice. This is testament to the level of training that every member of the military receives when in basic and throughout their career. Why wear a military ring? Well I put to you another question, why wear any ring. Why wear a wedding ring or and engagement ring. The simple fact is that these rings have meaning. They show that the person wearing this ring has commitment, loyalty and integrity. It denotes a belief in their cause and most of all a great deal of pride in what they have done and are doing. Over twenty years American troops along with their allies have been involved in some historic and world changing deployments in the Middle East. Enter any home in the United States and someone in that home knows someone or possible even has a family member serving overseas in places. These are brave individuals who are in these areas for the most part not by choice. It’s because they enlisted in our military to defend the democratic rites of our society to life in peace. Operation Enduring Freedom and Operation Desert Storm along with previous operations like Vietnam are included. Deployments are for every department of the military from the private to the General. Everybody plays a role in this huge commitment to peace and stability in our world today. We create and design customized deployment rings that can be inscribed with your personal details. Personalized provide an excellent mo-memento of that special occasion in every soldier’s life. 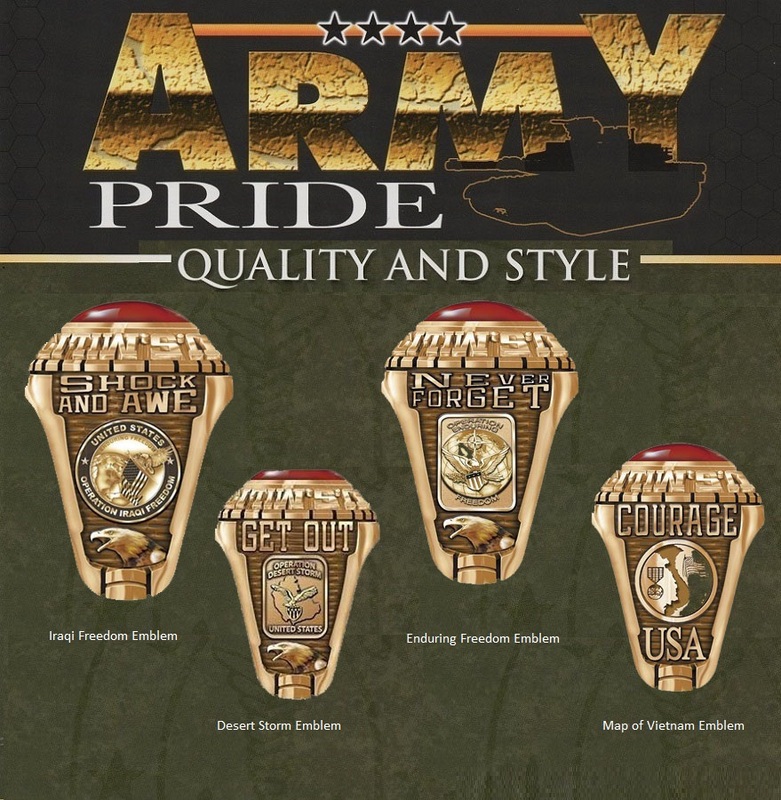 The Vietnam Veterans Ring and the Operation Desert Storm Rings are two very popular military rings. When you proceed to our online shop you can get more information on how to design the perfect military deployment ring.